Central Collections offers full debt collection services proudly servicing the Waikato & Bay Of Plenty regions and throughout New Zealand for over 25 years. With Central Collections via our extensive range of contacts and experience in the industry, you benefit from getting the very best of our knowledge within a pricing structure that we know is amongst the most competitive. In fact, show us a better all round deal and we will beat it! Guaranteed! Our clients are varied from smaller family businesses to larger corporations and Government Organisations so we are confident if we can help them, we can sure help you. 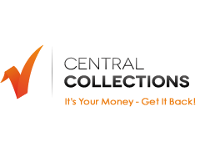 Central Collections is 100% NZ owned and operated and PROUD of it! So, now take the second step... Register with us at our website or phone us on 0800 433 287. We have no doubt you will benefit from our skills and services. When you give us the authority to initiate debt proceedings, at Central Collections, we make it easy for you because we do this every day you can be safe knowing that the debt is being handled professionally and efficiently. Most fees charge are recoverable and claimed back from the debtor in the legal process, making this an effective form of enforcement.